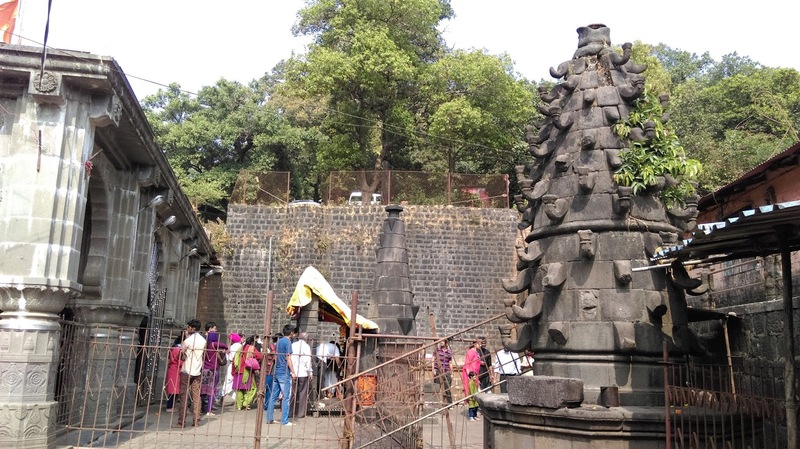 Bhimashankar Temple is a Jyotirlinga shrine located 50 km northwest of Khed, near Pune, in India. 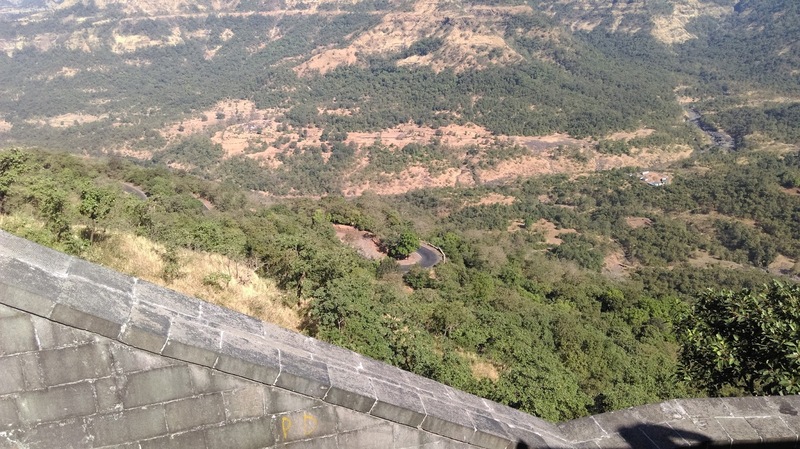 It is located 127 km from Shivaji Nagar (Pune) in the Ghat region of the Sahyadri hills. Bhimashankar is also the source of the river Bhima, which flows southeast and merges with the Krishna river near Raichur. We planned to go Bhimashankar via Malshej Ghat and come back via Lonavala. Why do we choose two different routes for going and coming... any guess?...actually answer is very simple. Just give a thought, you will get an idea. Hope you guessed it if not let me tell you. Answer is TRAFFIC 😈. In the evening traffic in the Kalyan area is seriously a pain. We had to cover 14 kms extra via Lonavala but that was acceptable rather than stucking in traffic and burning fuel standing at one place. Around 7:30 AM we were leaving Kalyan and still facing traffic, road was almost full of buses and cars 😤. 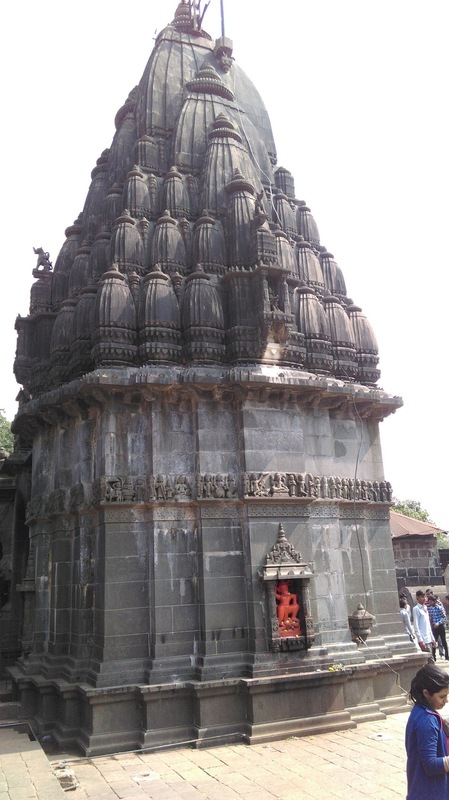 We crossed Kalyan and headed toward Malshej Ghat. 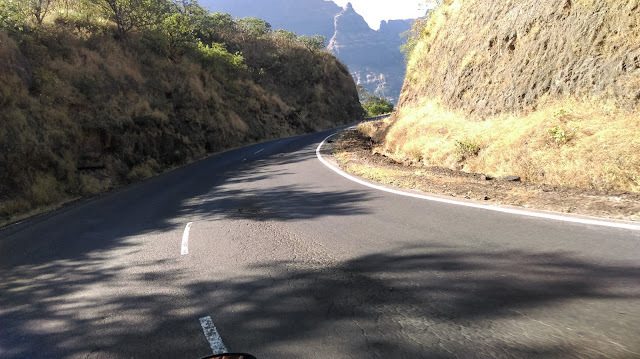 Malshej Ghat will never put you down if you love riding in ghats. Once left Kalyan, temperature started dropping and we are going up on the hill just reciprocal to us hehehe. We live in Mumbai and temperature never go so down here. As we were going up my teeth started playing violin and fingers were almost loosing sense but somehow controlling myself, enjoying the sceneries and cornering. 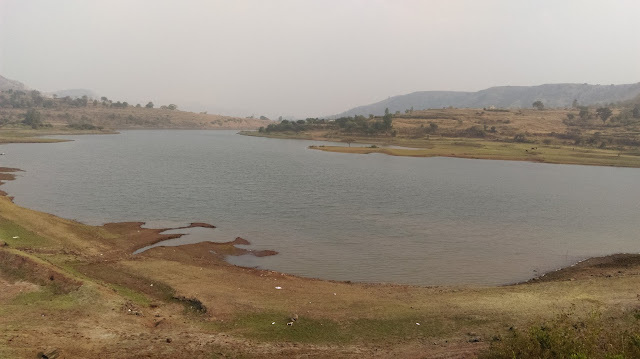 At some places wind blast was so much of power, was almost shaking our bikes and we were controlling the handling at slow speed like a newbie 😉. Those wind blasts were more powerful than my mother's slaps😆. We reached MTDC resort in Malshej ghat around 11:00 AM. We parked our bikes and headed towards restaurant for breakfast, half of the riders went for washroom because nature call was on priority than breakfast 😆. We all seated like on round table conference same like we do in college and started chit chat, cracking jokes on each other, talking about the road, wind flow, future rides and many more. Mean while we placed the order (Poha, misal pav, egg pav and tea)☕ as well. 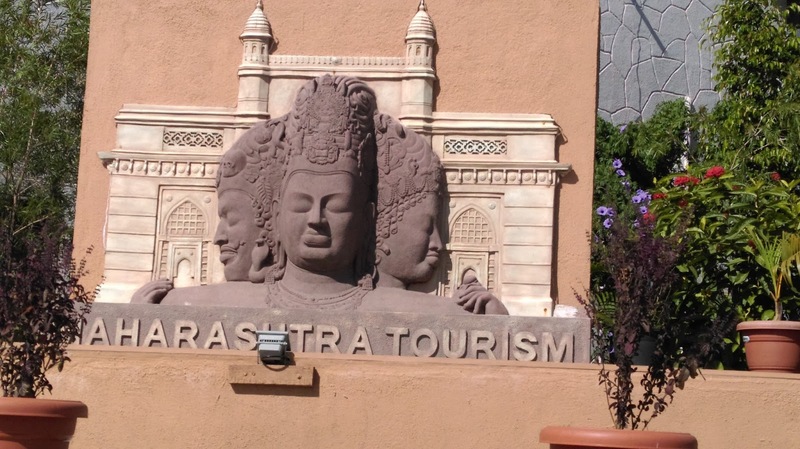 Once done with breakfast, we all set for leaving to Bhimashankar without any halt. After crossing Malshej ghat, riding for few kms we reached Junnar, We took left for Bhimashankar if you go straight from there you will reach Shivneri fort where one of the greatest warrior of Maharashtra - Shivaji Maharaj was born. Continuous riding for almost 3 hours we reached Bhimashankar, in Bhimashankar without stopping anywhere we directly headed towards Bhimashankar temple. 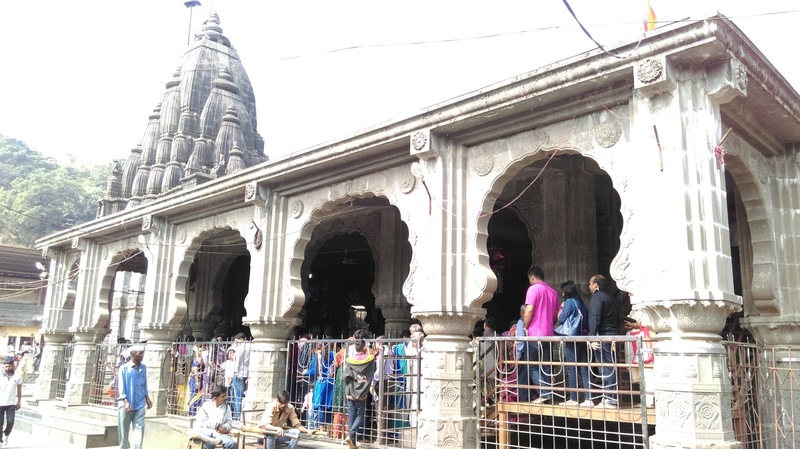 When we reach there we were bit surprised, could see queue of buses, taxis standing few meters before the temple. People from Maharashtra, Rajasthan, Gujrat and some from South India came to visit the temple because our riding day was festival day - Makar Sakranti. It was around 2:00 PM in the afternoon. Standing in queue and take the blessing of Lord Shiva was quite difficult so we went down and worshiped from away. We took some prasad for family members, had snacks, enjoyed for sometime there and left. 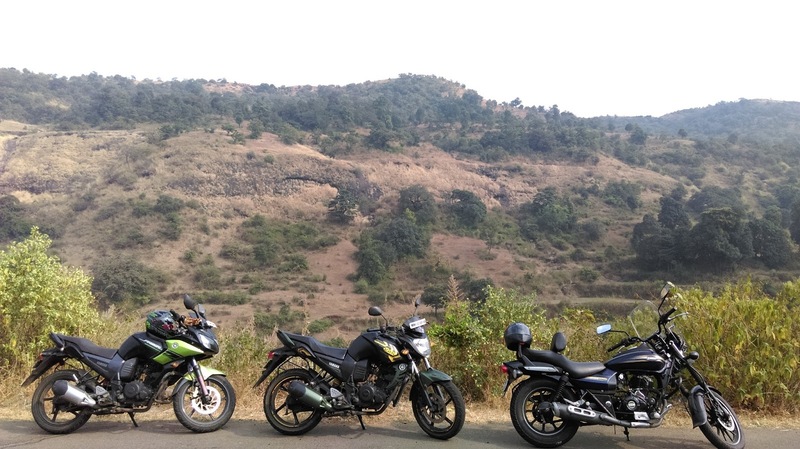 It was almost 4:00 PM when we left Bhimashankar, now we would be riding on new road we were not familiar with. We first decided to take google aunty wala route but since we were bit late so thought of taking some shortcut which directly connect us to highway in Talegaon. We were riding in near by villages of Bhimashankar in district Pune now, asking villagers for shortcuts. Villagers were looking at us so weirdly like we came from some other planet. It was like some road show for them.... jahan jahan se hum nikle.. wahan wahan hamare chahne wale nikle.. We did off roading for around 100 kms before touching the highway. Once we came on highway, we stopped at petrol pump⛽, many of rider's fuel indicator was on the reserve corner. we topped up our bike and left. Around 6:45 PM we stopped at snacks corner just before lonavala. We din't had lunch as we were not hungry as such. We had idli sambhar, sandwiches, oranges, tea. Some of us talking about the ride, some were looking at bike's tires and some were stretching the body(I was one of them😋). After few minutes relaxation we left as it was getting dark. Some of us were getting calls from their home. My sis called me.... kab tak aayega...papa puchh rhe hai.. and I replied bas pahoch rha huin thoda time main...😜 We rode continuously till our home. whom so ever's home was coming on the way, we were thanking them for joining the ride and they were leaving for their home. Night ride is enjoyable but at the same time bit risky too. I think a rider should have experience of night ride also. I know I am covering myself .. kya karu.. karna padta..hehehe😑. I reached home by 9:15 PM, parked my bike, entered into home and my dad was like mil gya time ghar aane ka ... I was blank ... just replied yes.. ;). I freshen up, had dinner.. and went silently to my bed. I was on my bed looking at ceiling, smiling, thinking about the ride and suddenly sleep embraces me and went to sleep. That's how one more beautiful day came to an end.